Our company holds immense experience in this domain and is involved in offering wide assortment of Iodized Salt(Triple Refined Iodized Salt). We supply triple refined free flow iodised salt, which should be a staple of every kitchen. We are providing the best quality of Rasoi Salt.We present high quality of rasoi salt, free flow iodized that has right amount of iodine required for the development of the body. The Rasoi salts are fresh and known for their packaging. As we make sure that they are packed in air tight packages and boxes to prevent the packets from getting spoiled due to moisture in the air. Our Diamond Iodised Crystal Salt is available in the market since four decades and strong response from the market. This product is still supplying in the market, the motive that an ordinary man should consume our brand with quality and affordable price. Diamond trusted brand since 1970's. 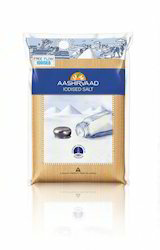 Our range of salt is pure, processed under hygienic conditions and has right amount.We are Exporter of Iodised salt. 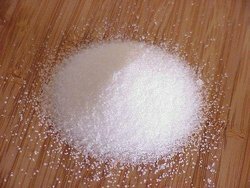 Iodised salt is used to prepare various dishes & thus finds application in restaurants, hotels and households. Offered at reasonable price, our range is suitably packed to intact its freshness and purity.